Our New 2017 Finisher Shirt designed by our in-house designer Scott McMicahel. 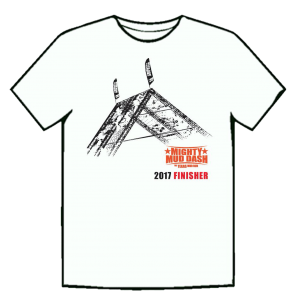 You can only get your Mighty Mud Dash 2017 Finisher Shirt, by finishing the race. The first step is registering and then starting your training.